The Cruise BC (British Columbia) Association has announced that regional economies continue to enjoy significant benefits from the cruise industry. The 2012 cruise season has just drawn to a close, with calls to multiple BC ports continuing well into October. This past season saw a slight increase of 13,000 passengers from 2011, with a total 1.2 million passengers visiting the BC port communities of Nanaimo, Prince Rupert, Vancouver and Victoria on a total of 427 calls. An estimated total economic impact of $1.3 billion was generated to the BC economy. Nanaimo concluded a second successful season in their new cruise terminal, hosting five large cruise ships and two pocket cruises. Passenger volumes were up 8% from 2011 and shore excursion participation reached new records, with cruise guests visiting a variety of regional attractions. Prince Rupert demonstrated outstanding community support for cruise initiatives in 2012, including the involvement of 200 volunteer ambassadors who welcomed the inaugural ship of the season: the Holland America Zaandam. The community’s excursion program continued to highlight Prince Rupert’s First Nations history, pioneer heritage, and ecological treasures and was met with positive feedback from guests. Continuing with an upward trend in passenger volumes, Port Metro Vancouver’s 2012 cruise season saw a modest increase to 667,000 passengers. Vancouver was pleased to welcome back Princess Cruises’ Sapphire Princess, which returned to homeport in Vancouver. The 2012 cruise season also marked the third full year shore power at Canada Place, the first of its kind in Canada. Nearly 40 per cent of all 2012 cruise calls in Vancouver were shore power enabled. Victoria recently concluded its busiest cruise season, with a 15% increase in passenger visits from 2011, and setting a record with more than 500,000 passengers arriving at Ogden Point. The 2012 season also offered a number of other highlights, including visits by two new regular weekly callers, the Disney Wonder and the Norwegian Jewel. 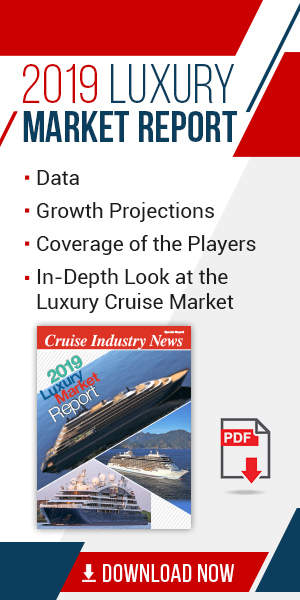 While the 2012 season saw an impressive number of cruise ship and passenger visits, the 2013 cruise season promises a significant increase in cruise activity and associated economic impacts. The Port of Nanaimo has confirmed eight large vessel calls during the May and September 2013 shoulder season, with the Norwegian Jewel and Celebrity Solstice making inaugural calls to the island community. In 2013 the community is again planning to coordinate special events around the cruise visits, which have proven to be very successful with cruise visitors. For 2013, Prince Rupert will see double the cruise passenger visits over the previous year, with the Prince Rupert Port Authority sustaining an aggressive program of outreach to cruise lines, targeting a return to weekly vessel calls. The Prince Rupert Port Authority’s Central Waterfront Vision, which encompasses improvements to the cruise guest reception area and new facilities in the commercial Cow Bay neighborhood, also continue to advance. Vancouver is anticipating an increase of more than 20% in cruise passengers in 2013, with more than 800,000 passengers expected to pass through the Port’s two cruise terminals. Vancouver is also looking forward to welcoming four new vessels that will be homeported in Vancouver next year: the Disney Wonder, the Norwegian Sun, Oceania’s Regatta, and the Amsterdam. Since launching shore power in late 2009, the successful program has seen more than 150 vessels calls connect to a land-based electric grid, eliminating an estimated 5,000 tonnes of greenhouse gas emissions in downtown Vancouver. Planning is already underway in Victoria for the 2013 season. Ogden Point will welcome its first Solstice class vessel - the Celebrity Solstice, a 315-meter ship that can carry 2,850 passengers, as a regular weekly caller. The largest ship to visit Victoria in 2012 was 296 metres with a 2,600 passenger capacity. “BC cruise ports are looking forward to next season with the return of some of world’s largest and most luxurious cruise ships to the province. Passengers on these vessels will experience the natural splendor of Canada’s Inside Passage and can enjoy unique shore experience in each BC city. This a one-of-a kind experience for passengers,” said Ortega in a prepared statement.